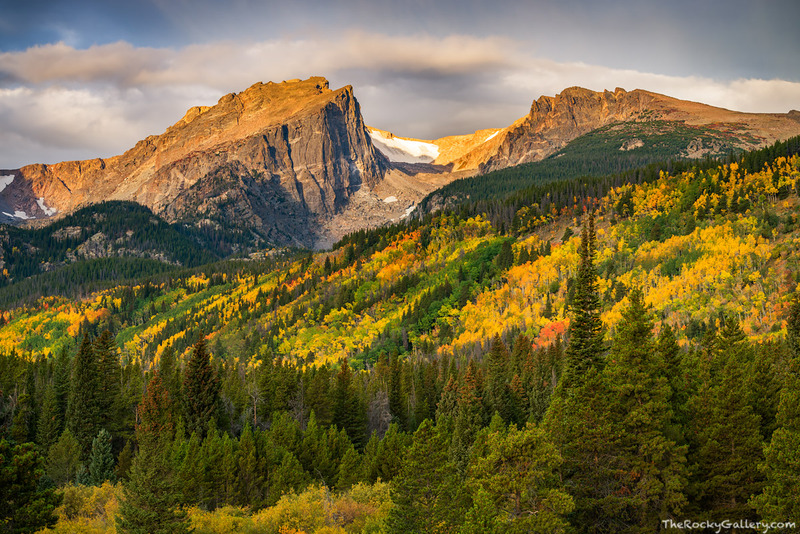 The autumn color is in all its splendor along the Bierstadt Moraine of Rocky Mountain National Park. A storm is moving in over Rocky but the sun managed to briefly kiss Hallett and Flattop Mountain with a little bit of dappled sunlight before ducking back under the clouds for the morning. Photo © copyright by Thomas Mangan.